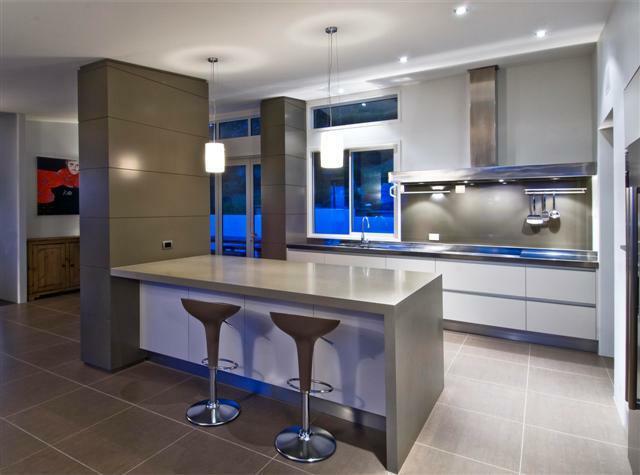 Diamond Electrical Solutions Ltd have many years experience in carrying out various domestic projects. Whether its installing extra sockets and lighting or a full rewire, we are fully equipped to tackle any job no matter how big or small. We are members of the NICEIC and Checkatrade, this means we are constantly monitored and vetted to ensure our customers are recieving the best standard of workmanship along with the most up to date knowledge of the wiring regulations. Call us today to arrange a free no obligation estimate for your electrical project no matter how big or small. We offer a second to none service to our commercial customers. We understand that if your electrics stop working, the chances are so has your business. There is no time to lose, if something goes wrong, we are on hand 24 hours a day 365 days a year to ensure your company keeps ticking over as it should. Alongside this we are able to carry out Electrical Installation Condition Reports (The new Periodic Inspections) to any property as well as PAT testing. Regular maintenance of your electrical installation and appliances can help prevent faults occuring and can save you time and money in the future. 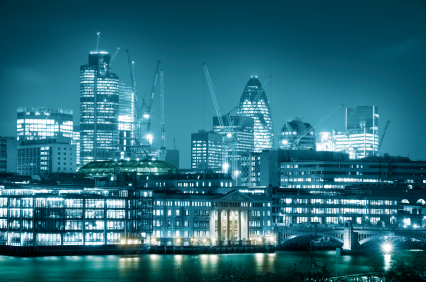 We can offer planned maintenance of your existing services such as monthly lamp replacements, fire alarm system testing and emergency lighting testing. This can help keep you within the law as far as insurers are concerned as many firms require an up to date log of maintenance and testing records. We have an evergrowing list of satisfied commercial clients, these include large offices, schools, nursing homes, cafés and shops. We work hard to ensure all deadlines are met and disruption is kept to a minimum, this helps our clients retain normality as much as possible when works are being carried out. This is why Diamond Electrical Solutions are used time and time again to provide electrical services throughout Brighton, Burgess Hill, Hove and Sussex. Our engineers are fully qualified and share our view of getting the job right, first time, every time. We consider ourselves specialists in outdoor lighting and power systems. We pride ourselves on our feature lighting designs and can make even the most bland garden look like a major focal point. Sockets, Lights, Heaters, Televisions, Speakers...nothing is out of bounds! 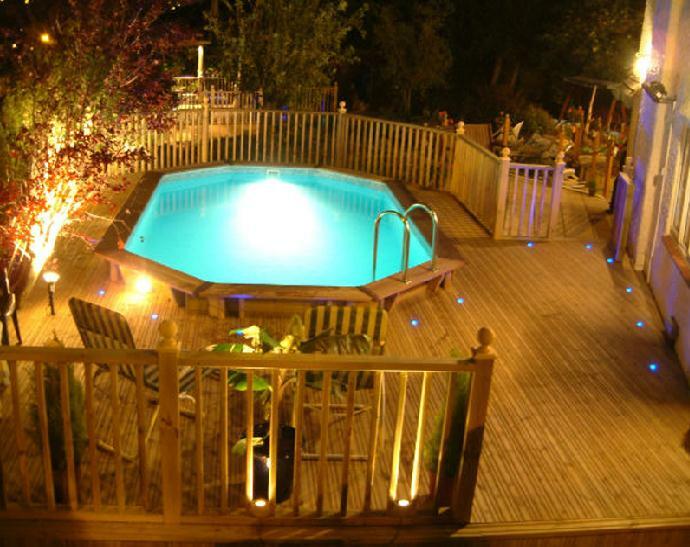 Using the latest LED technology we can make sure your garden is the talk of the terrace with intelligent mood lighting, patio and decking lighting as well as pond and swimming pool lighting. We can also install standard spot and flood lighting should a more traditional look be required. 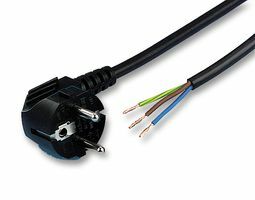 All of this coupled with weatherproof sockets and switches can transform your garden to an outside living place of envy. We also offer wireless garden lighting solutions, this is a huge innovation meaning outside and driveway lighting can be controlled via Iphones, Ipads, keyfobs and even a picture of your garden with hidden touch buttons, press the pond and the pond lights come on etc. These things really have to be seen to be believed, these systems are surprisingly affordable so do get in contact to see what we can offer you. We really are the specialists when it comes to transforming your garden by the use of lights, so why not give us a call and arrange a free no obligation quotation. 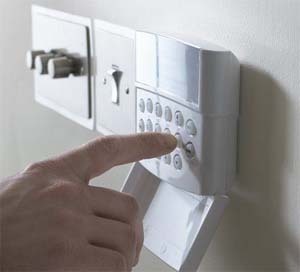 Diamond Electrical Solutions Ltd can install and maintain all different types of security systems. We have many maintenance contracts to ensure fire alarm and emergency lighting systems are working correctly around the clock. This involves planning individual schedules for each property whether residential or commercial. Failure to take out a regular maintenance contract on buildings with fixed fire alarm systems can be against many insurers terms and conditions, don't take the risk, call us today for an extremely competitive quotation. 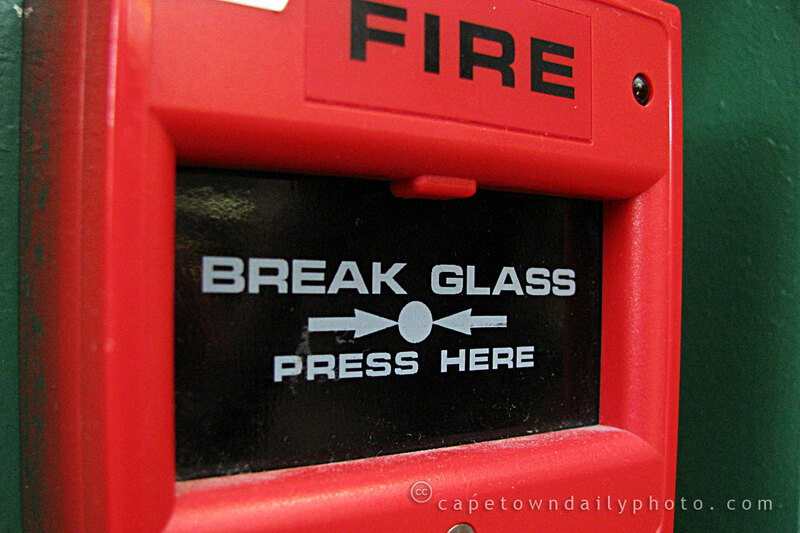 We install all types of fire detection systems from residential homes right the way through to commercial properties. 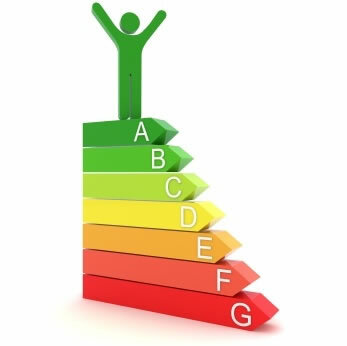 Our team can offer advice and expertise on the types of system that are right for you and your property which is in line with BS5839 2002 & 2004 parts 1-6. Emergency Lighting is a key aspect of any property. Communal hallways, escape routes, retail outlets, restaurants, office space, corridors, hotels should all have an emergency lighting system installed and maintained to BS5266. It is a legal requirement for these systems to be periodically inspected to ensure the correct operation of the lighting units should there be a loss of power or fire. We can offer comprehensive packages to suit you and your business/property to ensure you are staying safe and within the law. Speak to us about the many different systems we can offer you. Wirless or Wired, we can take you step by step around your property to identify vulnerable locations and recommend the best equipment to deter burglars from striking. We have an in house CCTV specialist who can discuss your requirements and install a state of the art surveilance system in any property. One feature popular now is the ability to have a live image from your cameras streamed directly to your smart phone which enables you to keep an eye on things wherever you are in the world! We can also install and maintain the following security systems to assist with protecting your property and belongings. Diamond Electrical Solutions are experienced in carrying out electrical inspections/surveys and testing. We regularly carry out Electrical Installation Condition Reports for landlords, letting agents and property management companies. These reports are the new name for a Periodic Inspection Report or PIR. We have now also been chosen to work alongside a national company carrying out these reports in schools and colleges throughout England. This provides our customers with safe knowledge that we are a highly regarded company in this field as well as others. Electrical Installation Condition Report's are recommended to be carried out every 5 years on commercial and rented property. This period increases to 10 years if you own and live in the property. Unlike Gas Safety Certificates, Electrical Installation Condition Reports are currently not a legal requirement in most situations. We feel that it will only be a matter of time before this changes, electricity can not be smelt, seen or heard therefore it could be regarded as a more dangerous entity than gas. One legal standing that could affect many landlords is that they are legally obliged to have a 'Duty of Care' towards their tenants. If part of the electrical installation causes injury or harm to the tenants life or property then they can be taken to court for negligence and in most cases prosecuted. It can also invalidate any buildings insurance claims if clauses are activated. We encourage all landlords as well as homeowners to have these reports carried out, it can provide piece of mind as well as identifying potential hazards which have previously gone ignored. We feel we have extremely competitive prices in this market and will be only to happy to discuss your needs. PAT Testing is something most businesses have to remember these days. The majorty of commercial insurance policies state that the entire catalogue of portable electrical equipment owned and operated by the company must be tested to ensure safe operation. This is backed up by the 'Electricity at Work Regulations 1989' which requires all electrical equipment with the potential to cause injury be maintained in a safe condition. 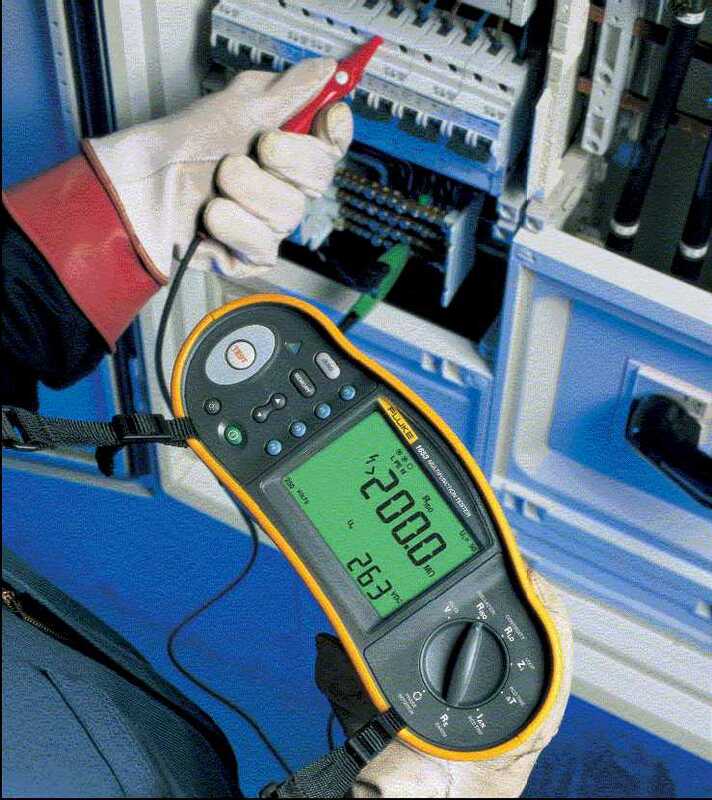 Diamond Electrical Solutions can carry out PAT testing on all appliances and provide you with a detailed log of all the equipment tested, once recorded we apply a signed, dated 'PASS' sticker to all safe appliances and if we find anything which does not comply then we will discuss with our client a remedy. We recommend an interval of no longer than 1 year. Please get in touch with our team to find out how we can help you or your business. Internet, communications and networking are only getting more involved. We have a dedicated team employed directly by us who take care of all our data installations. 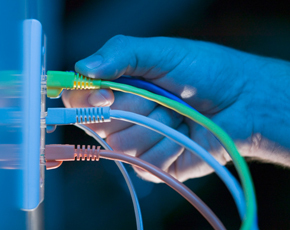 We can offer bespoke services to suit any business needs as well as home networking. 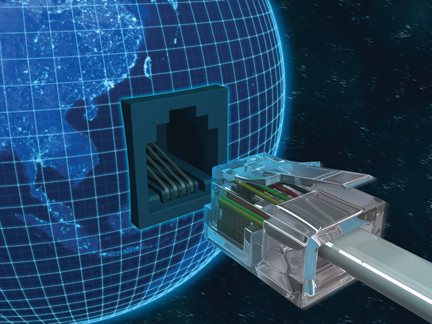 Our team can install data points, server cabinets, telephony systems, wireless access points, wired access points amongst other things. A networked office or commercial outlet is essential in this day and age, let us design your system to ensure you are running at high speeds and keeping up with the competition. Have you got any questions regarding networking or communications? Please feel free to speak to our data and communications expert by calling us today. 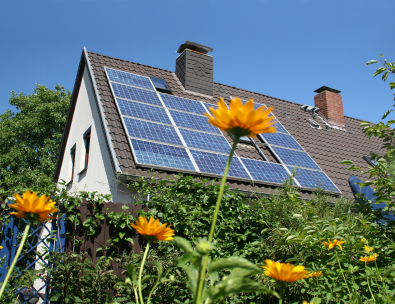 Solar Panels are wideley regarded as a safe investment, with more and more people choosing to convert the sun into a free electricity policy it makes perfect sense to explore the options available to use a renewable energy source. We can offer advice on systems, panels, and have the use of a consultant who will be able to give you the optimum position on your roof to mount a solar panel. 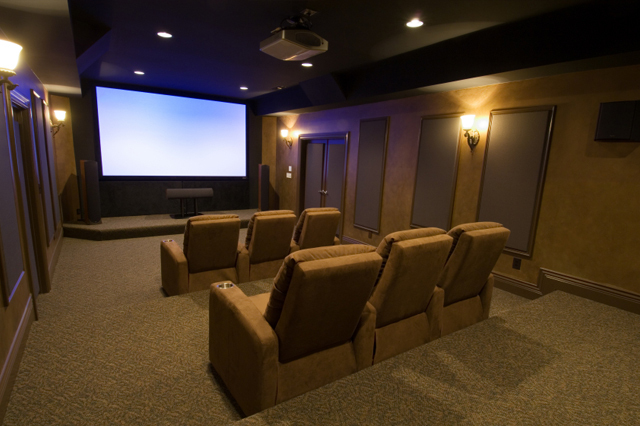 Once consultations are complete we can offer a dedicated installation team to install a new state of the art system to your property. Don't get left behind, get in contact with us to discuss your options. We are also now pleased to offer customers with holiday homes in Europe a tailormade service to assist with tricky situations using unknown foreign contractors. We have now carried out several jobs for previous clients at their second homes abroad, they found it hard to find reliable competant contractors in their respective towns and chose Diamond Electrical Solutions Ltd to carry out various electrical work within their properties. This is a service which needs expert planning, preparation and knowledge which we are proud to offer our customers. Should you have any questions regarding this service, please do not hesitate to get in contact with us today. Should you wish to take advantage of our bespoke services we recommend an initial meeting free of charge to discuss your specifications and requirements, we would then draw up a quotation based upon the specification supplied. Alternatively we are happy to meet customers abroad on certain projects. References of our overseas work are available on request. Diamond Electrical Solutions are committed to saving energy in all applications where possible. We can carry out a site survey to establish where electricity can be saved and what steps can be taken to lower energy bills. There are so many solutions available to cutting energy costs and we have the experience to show our customers how and where to cut down. 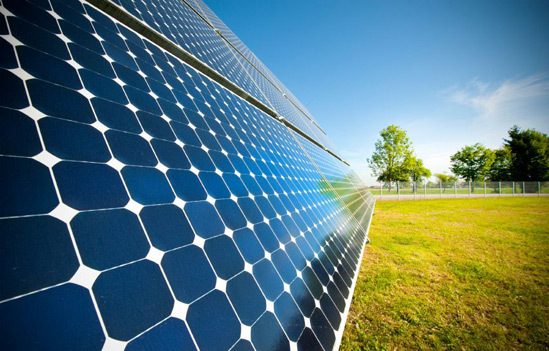 With the UK investing billions of pounds into restructuring the way electricity is supplied and used, more and more people are following suit and taking measures to lower their carbon footprint, whether this be by swapping an incandescent light bulb for a low energy or LED type all the way to installing solar panels our team can help you decide the best methods of saving money at the most competitive price. We stock many types of low energy lighting solutions and are only too happy to showcase them to our customers. LED is taking the world by storm at the moment and it is our prediction that they will eventually take over from the more fluorescent type of low energy lamps which although prove popular have no where near the life expectancy of LED lamps. Feel free to get in contact to discuss ways of bringing your electricity costs down as well as protecting the planet. 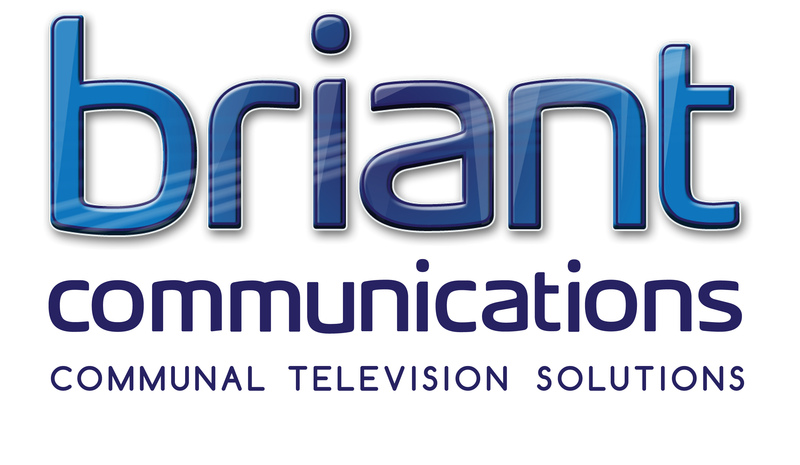 Diamond Electrical Solutions are now teaming up with Briant Communications to bring you the very best in Sky TV, Freeview, FreeSat, Broadband and Telephones. We ensure our clients get the very best in competitive prices and service when they take advantage of our strong partnershop with the Souths leading Sky and Digital installers. Briant Communications are one of the largest approved Sky installers in the South East of England and we now work alongside their dedicated staff to bring our clients more than just aerials! Choose from Sky’s world of great entertainment, blockbuster movies and live sports to find the right TV package to suit you. 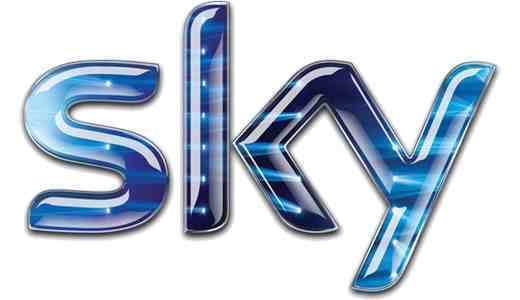 Sky Entertainment is included with all Sky TV packages. Customise your package with Sky Entertainment Extra, Sky Movies, Sky Sports and the HD Pack. You’ll also need to choose one of the Sky boxes whether this be Classic, Sky+ or HD. We can also provide Sky communal systems to bring the best of digital television to residents of large blocks of flats or HMO's. Some of the channels on offer include: Sky1, Comedy Central, Discovery Channel, National Geographic Channel, MTV, Sky Atlantic, Sky Sports 1,2,3 & 4 amongst hundreds of others! Please be sure to ring Diamond Electrical Solutions Ltd on 01273 917916 or 01444 300151 to access the very best prices exclusive to our customers! We are also pleased to offer full digital aerial installation and setup to ensure your Freeview box or television is receiveing the strongest possible signal. No more breaking pictures in the middle of your favourite programme! Get access to favourites such as E4, Dave, ITV2, Film4, BBC3, 4Music, Cbeebies, Sky News, Challenge and QVC, not to mention the vast choice of DAB digital radio stations! 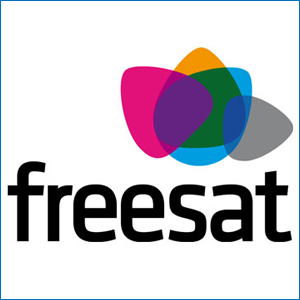 Freesat is a great alternative when due to poor Terrestrial TV reception Freeview is not available. Freesat uses a small mini-dish and can be connected to existing Sky satellite dishes. Like Freeview it is a non-subscription free to view service with a great range of Digital TV and Radio stations. Due to Freesat’s larger bandwidth available they are able to offer up to 150 TV, Radio and Interactive services, many more than Freeview and currently have 5 HD channels up and running across the UK. Please get in touch today to speak with a member of our team who will arrange the very best deals for you through our partner Briant Communications.